The Dark Web is where counterfeiters and other criminals have developed a thriving marketplace full of illicit products. It is a segment of the web that, though publicly viewable, is characterized by hidden IP addresses, which makes it difficult to track who or where users are. Dark Web users do so with the browser Tor, which allows people to surf the Internet anonymously. Some individuals also use IP2, a similar application. The systems "encrypt web traffic in layers and bounce it through randomly-chosen computers around the world, each of which removes a single layer of encryption before passing the data on to its next hop in the network," according to Wired. This means that it should be impossible for anyone to match web traffic with its destination, making these applications perfect for counterfeiters who seek to sell their illicit goods online. ThePurpleLotus sold fraudulent coupons online. While the Dark Web isn't entirely composed of criminal web traffic, there is a segment of users who do engage in illicit activity, such as selling fake goods, online. Recently the Dark Web's counterfeiters made headlines after the FBI indicted Beauregard Wattigney, a Louisiana-based technician for ITT Technical Institute, who was caught selling coupons for just about everything imaginable, offering fraudulent discounts. Wattigney is being accused of being an online coupon kingpin who went by the names ThePurpleLotus or TheGoldenLotus, and used the Dark Web marketplaces Silk Road and Silk Road 2 to sell his products. Via the Dark Web he sold coupons for alcohol, cigarettes, beauty products, consumer electronics, video games and more. They were sold in packages that went for around $25 in Bitcoins, which totaled hundreds of dollars in false discounts. The FBI has accused Wattigney of doing $1 million in total damages to companies such as Sony, Crest and Kraft - all of whom were affected by the illicit coupon sales. One of the coupons that he sold online allowed buyers to purchase $50 Visa gift cards for one penny. There was also a collection available called "The Original S.R. Exclusive Coupon Collection," sold by Wattigney for $50. "Anonymous online marketplaces have provided criminals with the ability to conduct illegal operations worldwide while seemingly insulating them from apprehension and prosecution," Leslie Caldwell, assistant attorney general, explained in a press release. "The Criminal Division is determined to peel back the veil of anonymity and prosecute criminals of all stripes who attempt to use the 'dark web' to cloak their illegal conduct." "Barcodes are becoming more standardized, and also easier to copy." ​ThePurpleLotus also sold a package online that included "coupon-making lessons," according to Wired. The counterfeit coupon creation guide offered buyers a PowerPoint presentation explaining how to generate barcodes and the steps to copying real-looking logos so that anyone with the $200 to purchase the product could create their own fraudulent coupons. The package also includes a video in which Wattigney shows how to create the counterfeit coupons. Barcodes are becoming more standardized, and also easier to copy, the news source noted. The GS1 barcode is composed of a company prefix, a random set of six digits, the savings listed in sense and how many items are necessary to trigger the discount. "You can be up and running and making coupons in an hour," PurpleLotus's guide reads, according to Wired. "The more you make the faster you get…You are a coupon ninja if you can make one in under two minutes." 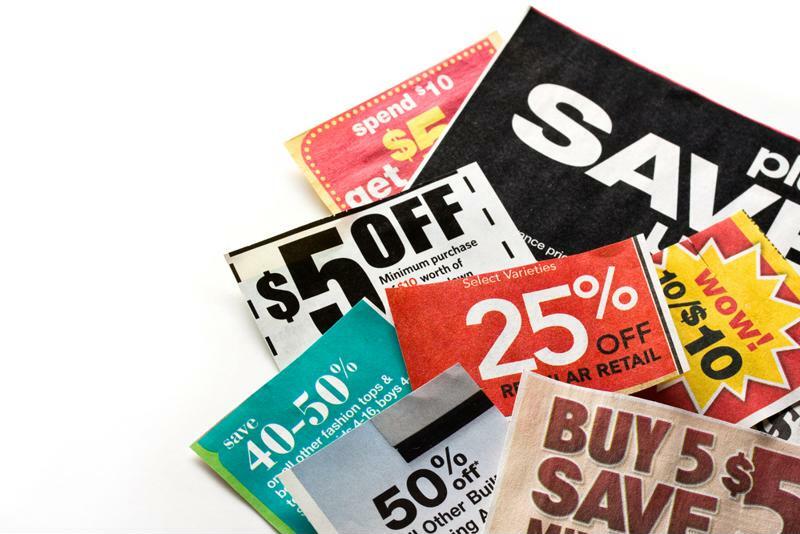 Fake coupon networks such as the one run by Wattigney can cause real damage to retailers, as well as companies whose brands are affected by the fraudulent discounts. Housed among the marketplaces that compose the Dark Web, they have the potential to siphon millions from companies and put strain on retailers who redeem them.